Gabriel Wisdom is a seasoned investment advisor and well-known broadcaster, who has handled thousands of investment accounts, representing over one billion dollars in assets during the last 30 years. Gabriel Wisdom is Co-Founder & Managing Director of American Money Management LLC, an SEC registered investment advisory firm serving individuals, institutions, and retirement plans with portfolio management, plus financial planning services www.amminvest.com. Over a 15 year period, he was an executive with three Wall Street NYSE Member firms (Shearson Lehman Brothers, Prudential Bache, and Sutro & Co.). With Michael Moore, he co-founded an Ohio mutual fund trust company which was acquired by the transfer agent, Mutual Shareholder Services. American Money Management is the portfolio manager of the trust’s public mutual fund. Wisdom is a Director-Shareholder of Monterey Financial, a national consumer finance company headquartered in Oceanside, CA. He serves as a private citizen advisor to the San Diego Treasurer / Tax Collector. Gabriel Wisdom also hosted “Brainstorm,” a nationally syndicated radio show, sponsored by Omni Magazine, from 1976 to 1981. He was the on-air Market Commentator for San Diego ABC-TV affiliate KGTV from 1984 to 1986, and the on-air Market Commentator for San Diego CBS-TV affiliate KFMB-TV from 1989 to 1995. Gabriel Wisdom was a frequent contributor to local and national public radio from 2001 to 2005. From 2002 to 2005 his commentaries were heard weekdays on National Public Radio affiliate KPBS-FM San Diego and then weekly on “Marketplace” distributed nationally by Minnesota Public Radio (2003-05). Wisdom continues to contribute to local and national NPR programming and provides frequent commentary for Los Angeles CBS News Radio station KNX. Gabriel Wisdom has been a Forbes.com contributor, and is the author of “Wisdom on Value Investing.” His book was translated into Chinese and by agreement with U.S. publisher John Wiley & Sons, is being distributed by China’s government-owned China Citic Press. Gabriel Wisdom graduated from the Harvard Business School’s Owner / President Management program (OPM-Class 26) in Boston, MA., and is a board member of the Harvard Business School Alumni Club of San Diego. A longtime proponent of Executive Education, he earned an Undergraduate Advanced Diploma in Data & Systems Analysis from the University of Oxford, a Bachelor of Science in Quality Systems Management from the National Graduate School of Quality Management, Falmouth, MA., and an MBA from California’s first State Approved (1976) distance learning college. He completed the Director Education and Certification Program (Certified Director) at UCLA’s Anderson School of Business. He has three daughters and is married to Diana Weiss-Wisdom Ph.D., a licensed clinical psychologist. 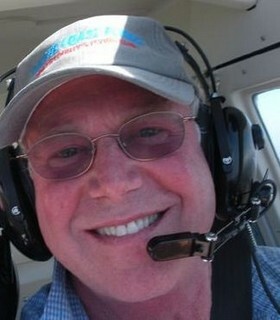 He is a single and multi-engine airplane pilot and an FAA Certified Flight Instructor. Gabriel and his family live in Rancho Santa Fe, California.